For the past few weeks I’ve been on a mission to expand my geek jewellery collection. 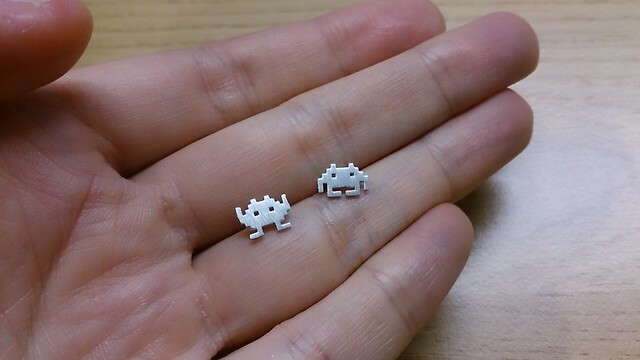 I realized subtle silver earrings are the easiest way to go, so I ordered these adorable Space Invader earrings last week. They’re adorable! I was scared they might be too big, but they’re exactly the right size. Geeky yet elegant! They’re available in gold plated and silver plated from etsy store DoubleBJewelry for £8.35/$12.50.